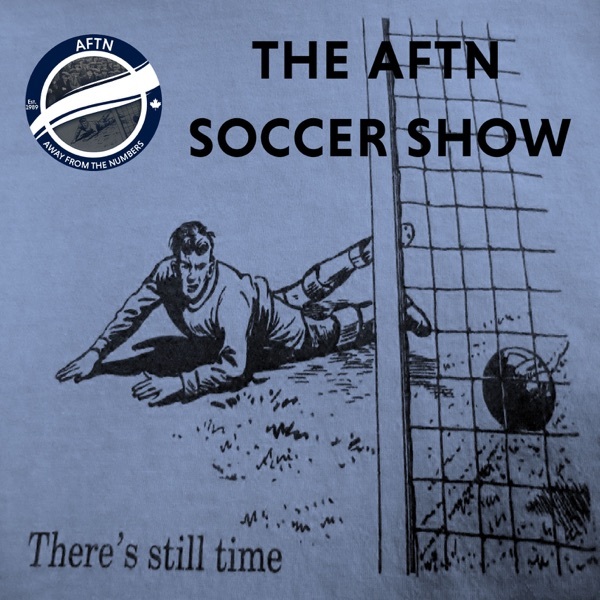 AFTN Soccer Show (Vancouver Whitecaps/MLS) | Listen Free on Castbox. © Copyright 2013-2018 AFTN. All rights reserved. "There's Still Time" - the Away From The Numbers soccer podcast. A regular podcast all about Vancouver Whitecaps, Major League Soccer (MLS) and the world of football. It's Vancouver Whitecaps first Friday night lights match of the new season this week and the Billy big boys of the MLS, LA Galaxy, are coming to town with their eight DPs. Joe, Nick, and Gideon are back with AFTN's latest preview podcast as they look ahead to the match. Can the 'Caps build on their first points of the season against yet another Western Conference rival? Can they contain Zlatan and avoid giving away any more penalties to him? And does Portland's goal against LA last weekend give Vancouver quite a bit to work on in terms of getting through the Galaxy defence? All this and a lot more are discussed in a highly entertaining episode this week. LA head to Vancouver with a young striker called Zlatan Ibrahimović making some headlines around MLS. He's only a second year player but he's shown signs that he has what it takes to make it in the league. The lads discuss the Swede and debate whether he'll turn ip, sorry, up. And it amongst all the chat, Do You Know Who I Am? returns, as does the prediction game, and see if you can pinpoint the moment in the episode when Gideon's heart is broken. Have a listen! What's the best thing for a winless team to have after some time off for the international break? If you said a derby game against an unbeaten side, then you'll be happy for what lies in store for Vancouver Whitecaps on Saturday evening. You're also nuts. But that is indeed what we have this weekend as Seattle Sounders head north to Vancouver to take on a Whitecaps side still looking for their first point in the Marc Dos Santos era. Joe, Nick, and Peter are back with AFTN's latest preview podcast as they look ahead to the match? Has the time off invigorated the 'Caps? Does MDS go back to a 4-3-3 and who will play in it? Do Vancouver have enough to stop a rampant Jordan Morris and Seattle's deadly attack? All that and a lot more are discussed this week, and find out who gives Joe the clap. And it amongst all the chat, Do You Know Who I Am? returns, as does the prediction game and more. Have a listen! Third time lucky? That's what Marc Dos Santos and Vancouver Whitecaps will be hoping for in Houston on Saturday afternoon, in the last MLS match for the 'Caps before the international break. Joe, Gideon, and Peter are back with AFTN's latest preview podcast as they look ahead to the 'Caps trip to Texas this weekend. What changes will MDS make to try and get that first point of the season on the board? Is there a more dangerous attacking trio in MLS than Houston's front three, and how do the 'Caps stop them? And will an attacking player ever score again for Vancouver? All that and a lot more are discussed this week, including some VAR talk. And it amongst all the chat, Do You Know Who I Am? returns, as does the prediction game and more. Have a listen! Week 2 of the MLS season sees Vancouver Whitecaps heading to Utah to take on a Real Salt Lake side a little bit like themselves, in that you just don’t know what kind of team they are going to be this year. In our latest preview podcast, our two saints, Nick and Peter look ahead to the match on Saturday. What changes will MDS make after the Minnesota loss? Are our left back issues solved, for now? And just what kind of a threat with RSL pose? All this and more are covered in this episode, so have a listen!